Mitzvot tell a story. I invite you on a short journey to discover how two mitzvot of Purim – mishloach manot (sending choice portions of food to friends) and matanot la’evyonim (gifts to the poor) – tells a story. This approach, which I call Transformative Torah, seeks to show how aspects of the mystical and Hasidic tradition are rooted in readings of the Bible and how that translates into an accessible modern spiritual path. The Hasidic Masters have taught me to search for layers of meaning, and led me to look at mitzvoth and question their deeper significance. In this case, how are these two mitzvoth of the day integrally connected to the story of Purim? Meditating on these questions for some time finally led to this article in which I propose that mishlochy manot and matanot l’evyonim tell the story of the dawn of Esther’s faith. When we internalize this connection, these mitzvoth in turn have the potential to regenerate our own resources of faith. It is common to view these mitzvoth as acts we perform to commemorate the shared relief the Jewish people felt when imminent destruction was overturned in the Purim story. I propose a different approach. In addition to commemoration of the past, these mitzvot reenact for us the turning point in the story of Esther and the Jewish people. She is isolated inside the palace. 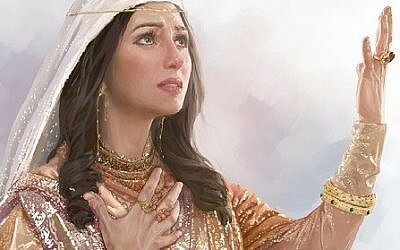 She fulfills Mordechai’s charge not to “make known her kindred or her people” (Esther 2:20). She is cut off from the fate of her people outside the palace walls and is unaware of Haman’s decree of annihilation. When she becomes aware of their fate, she feels powerless to rise to their aid. How does Esther overcome her isolation and succeed to fulfill her heroic potential? Isolated within the palace, she has begun to identify with palace norms. Mordechai, dressed in sackcloth at the palace gates, defies palace rules by his open acts of mourning. The “exceedingly distressed” queen sends clothing to cover him up. Mordechai reveals to Esther the decree to destroy the Jews and charges her to entreat the king on behalf of her people, even at the cost of her life. Esther resists. One who approaches the king’s inner quarters when not summoned will be put to death and “I haven’t been called for thirty days.” (Esther 4:11). Understandably, Esther is paralyzed by fear and concern for her own survival. Mordechai seeks to stir Esther’s awareness of the fate she shares with her people. This happens in stages. First, he rebukes her flawed sense of security. “Do not think in your heart that you will escape in the king’s house any more than all the other Jews” (Esther 4:14). However, rebuke is insufficient to motivate a person to action. Having removed her false sense of security, Mordechai must replace her fear and isolation with hope. To penetrate her wall of isolation and fear, he kindles her feelings of connection with her people and rouses her sense of mission. “Who knows whether or not you have come to the royal estate for such a time as this?” (Esther 4:12). Stirred by the nascent conviction that she must act, Esther takes the reins. This is the turning point for Esther. How did Esther shift from an attitude of survival to one of self-sacrifice? How did she progress from a woman with fear and doubts to a proactive heroine of the Jewish people? What tipped the scales? To understand this dramatic shift in consciousness, I would like to introduce a teaching of Rabbi Yehuda Aryeh Leib, the Sefat Emet. In his final address to his children, Yaakov Avinu bids them to gather together. The Sefat Emet views this as a father’s last charge for the final redemption. In this context, the Sefat Emet mentions Esther and teaches that alienation is the essence of exile. “The essence of exile is the impossibility to gather and unite the heart of Israel as one”(Sefat Emet, Parashat Vayechi, s.v. ‘he’asfu’ 5642/1882). This ruptured social reality is referred to by our mystical tradition as ‘the world of isolation and separateness.’ Exile, in addition to being physical displacement, is a spiritual state when people feel detached and isolated from one another and from God. They may live in the same town, perhaps in the same family, but internally they are estranged. The best portrayal I know of this spiritual link of faith is found in Natan Sharansky’s book Fear No Evil. From a man who shared a similar fate, he describes the tangible reality of the “inner-connectedness of souls,” and offers a potent portal to the inner life of Esther. 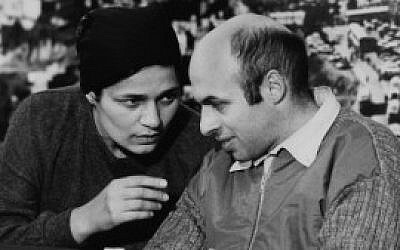 To overcome his fear and doubts, Sharansky created a bond with his wife Avital and the Jewish people that penetrated the concrete walls of the Soviet prison through time and space. “I formulated for myself a new law: The law of universal attraction, interconnection, and interdependence of human souls,” writes Sharansky. “In addition to Newton’s law of universal gravitational pull of objects, there is also universal gravitational pull of souls, of the bond between them and the influence of one soul on the other” (page 360). So, too, Esther overcame her fear and isolation by strengthening the bond of shared destiny and unity with the Jewish people. “Go gather together all the Jews who are present in Shushan and fast for me, and neither eat nor drink for three days, night and day; My maidens and I will fast likewise and so I will go into the king, though it is against the law, and if I perish, I perish” (Esther 4:15). Today, when we give mishloach manot and matanot la’evyonim, we reawaken the interconnectedness of souls: mutual responsibility, care and affection, which are the substance of faith. These mitzvot break through isolation and create connection. It is interesting to note the textual support for this idea. The mitzva of mishloach manot is first mentioned in Megillat Esther regarding the “Jews of the villages who dwell in the unwalled towns” (Esther 9:19). In Hebrew, the word for “villages” and “unwalled” is “peruzim,” from the root “pzr,” which means scatter. Alternatively, we could reread this verse, “the scattered Jews who dwell in scattered towns,” in other words, places where people are likely to be more estranged from one another and disconnected from each other’s fate. Mishloach manot appears one other time in Tanach in the book of Nehemia. When Nehemia reunites the exiled Jews, similar to Esther’s effort to unify the people, it says, “they gathered themselves together as one man.” To fortify their faith, Nehemia tells them to “send portions (mishloach manot) to those for whom nothing is prepared (8:10 and again in 8:12). In both Megillat Esther and the book of Nehemia, the inner meaning of the act of mishloach manot is to overcome isolation and solidify connection and unification. 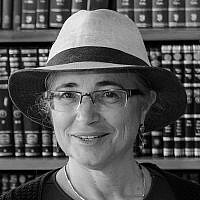 The physical state of the Jewish People today, particularly those of us who enjoy the freedom and autonomy of living in the modern Jewish State is far from the physical exile of the Jews in the times of Esther. Yet, there is still a great need to overcome the tendency towards isolation and spiritual exile. The annual antidote on Purim day is to replace isolation with connection, empathy and shared fate. People, especially children, love to give and receive gifts and welcome guests into their homes. Suddenly, the entire neighborhood, nearby towns, strangers, friends, employers and employees, those we naturally feel akin to and those less so, are alive and moving about as one interconnected unit. Underneath the lighthearted playful dimension of the day rests the reenactment of the faith of Esther. Through the fulfillment of the mitzvot of mishloach manot and matanot la’evyonim, as we bring people together, we rebuild our faith. That is the hidden ingredient which gives ta’am (taste) and meaning to these mitzvoth.